On Sunday, May 8th celebrate your mom and all of the important women in your life. 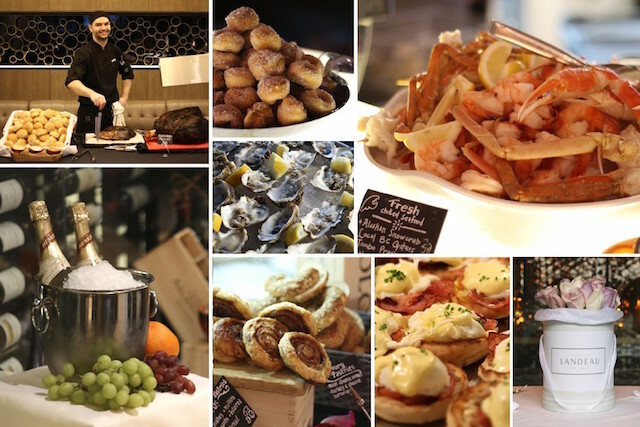 Dine at Glowbal for an impressive 100+ Item Buffet or at COAST for a tantalizing Seafood Extravaganza Buffet. BONUS: Surprise mom with a beautiful bouquet! As a special treat for mom, the restaurants have partnered with Vancouver’s famed Give Landeau. Order your 25 rose arrangement prior to Mother’s Day, note your reservation name and location, and they’ll have the arrangement waiting for you on your table for when you arrive. It doesn’t get any better than that! Visit Give Landeau’s website to place your order.